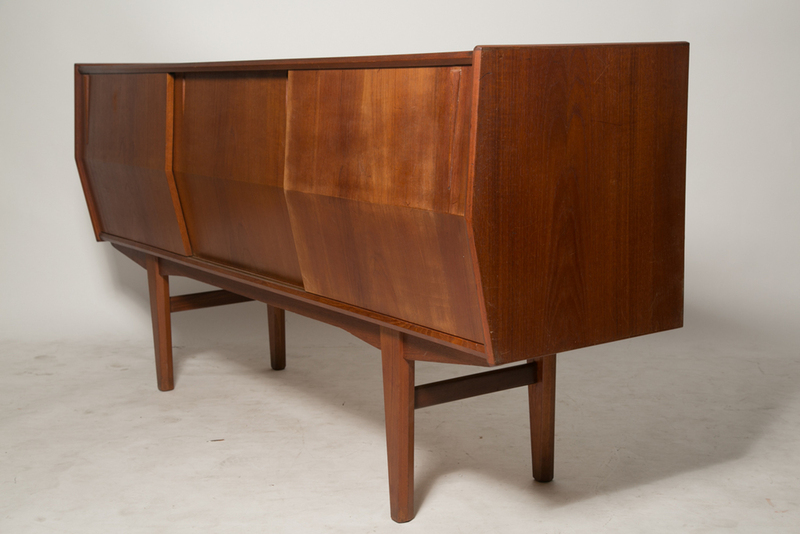 Sculptural low teak credenza with mirrored conical pulls and sliding doors. Very unique credenza piece. Has 3 comportements : 2 plain and one with two sliding trays. Wear : Recently professionally restored veneer. Minor nicks and wear.